They are soybeans that have been picked 45-60 days before maturation. They are fuzzy, and a wonderful shade of green. 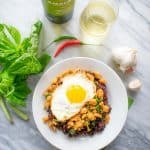 You will rarely if ever see these beans fresh, but they are available at some farmer’s markets in California for a few weeks of the year. Typically, these are frozen or ready to eat in the refrigerator section of the grocery store. 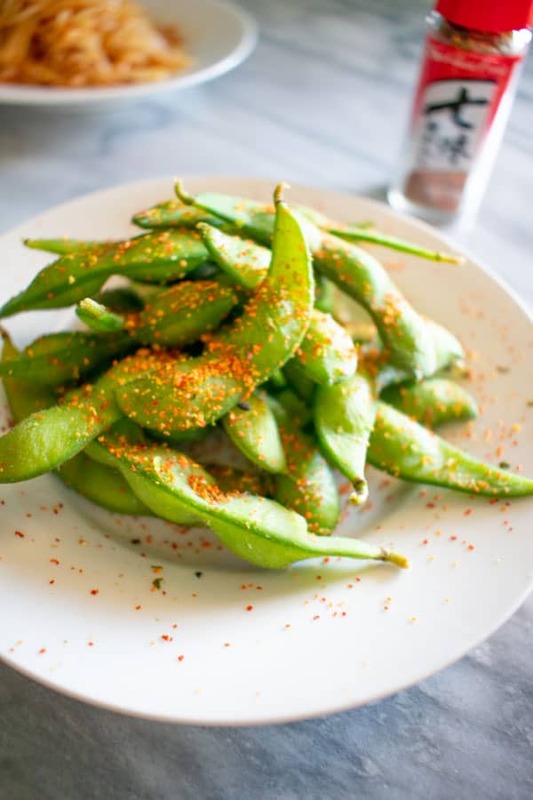 Edamame is one of the easiest and healthiest finger foods to serve at a party. The only problem is that they can taste like nothing. Simply seasoned with sea salt, they are edible but just taste so bean-y. 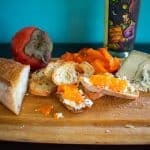 You could coat them with all sorts of sticky dressings to make them taste better, but then your fingers will get messy, and you’ll have to keep rubbing them against a nearby napkin. Or you’ll start licking your fingers whilst trying to make conversation with strangers at the party. 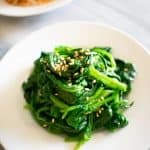 This edamame recipe checks the boxes of being still clean enough to pick up with your fingers but also addictive, like potato chips. You’ll just keep reaching and reaching for them until the whole bowl is gone, and you feel a little embarrassed. These edamame pods are juicy, full of flavor, not too sweet, and not too salty. 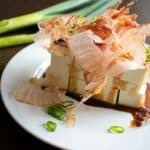 This simple recipe is inspired by the edamame served at Eating House Restaurant in Kauai, a Roy Yamaguchi restaurant (pictured above). It would be fair to say that the edamame really was the highlight of the whole meal. Instead of serving complimentary bread, they set this bowl on the table. It served the dual purpose of whetting the appetite while not getting full. 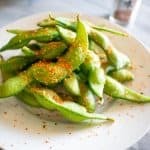 Once the edamame pods are boiled in salted water, simply toss them with soy sauce, sugar, and a sprinkle of Japanese chili flakes, called shichimi togarashi. If you don’t have that or don’t want to buy it, you can use the chili flakes of choice or omit it altogether. If you do serve at a party, have an empty bowl nearby to discard the pods. Do try setting this on your table instead of bread. 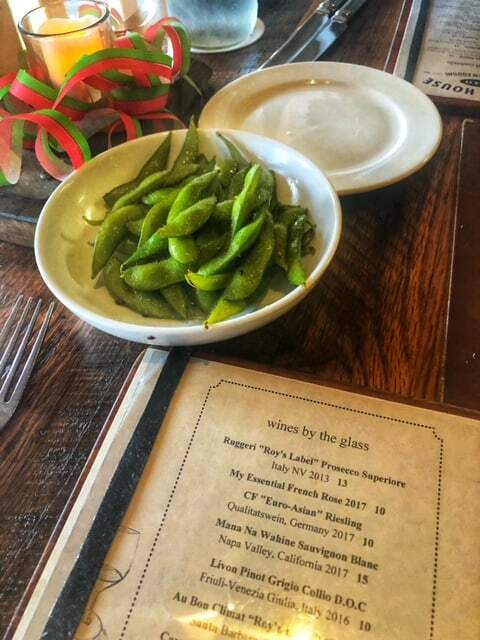 Breaking bread is great, but so is chewing on edamame. 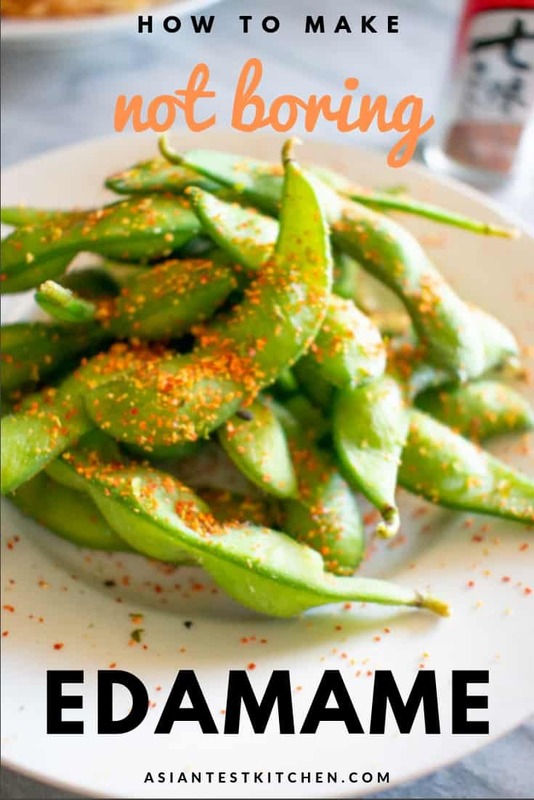 Usually sprinkled with sea salt, these soybean pods are spiced with a Japanese seasoning salt known as Schichimi Togarashi. 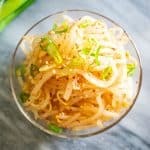 Tossed with soy sauce and a bit of sugar, you won't be able to eat just one. Stir together dressing ingredients in a large bowl. It should be large enough to hold the edamame once cooked. Add salt to boiling water. Add frozen edamame and cook for 3-4 minutes, until beans are tender and warmed through. Drain water. Add edamame to bowl with dressing and toss gently. Serve warm or at room temperature. Don't forget to keep an empty bowl on the table to discard the empty edamame pods. Do you enjoy eating edamame? Please spread the Asian ♥ and share!